I have to weight each edge in below attached undirected graph with euclidean distance between two adjacent nodes. How we can do that??? % that reflect position of the vertices. 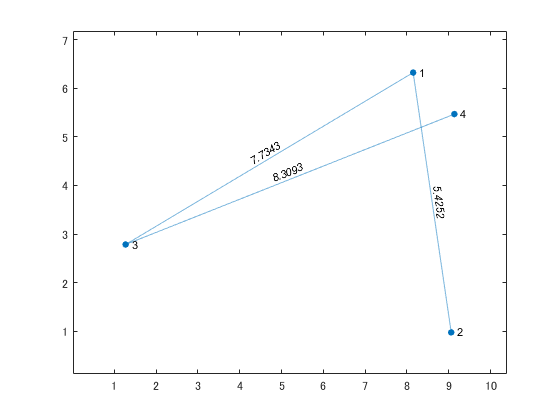 % The weight is Inf if vertices are not connected. % You can put something different from Inf (e.g. 0) 'using pad_with'. % Copyright (c) 2004 Gabriel Peyr?